The Makerspace movement has created a buzz in the library-media community. Many public libraries have embraced this opportunity to add more hands-on activities to appeal to their patrons. But in the school setting, teacher-librarians often express many concerns about how to incorporate a Makerspace into their program with so many obstacles. These obstacles—time, space, and budget—are not new to any of us in school libraries, but they don’t have to be roadblocks that keep you from creating a great “Makerspace” of your own. I’m Maddox’s mom (West Burlington) and I just wanted to take a minute to thank you for all of your work with Maddox these last few months. He loves his time with you and we have seen such incredible progress in such a short amount of time. A couple of weeks ago, he started saying his L’s, and is so consistent and determined! It still catches me off guard to hear them, and they come more and more naturally. Last night, he really caught me off guard when I got home from my studio and he told me he had just taken a “bath”. Last night was the first time in entire life he said “bath” and not “baf”. I made him repeat himself about 5 times, and the rest of the night we kept saying “th” words back and forth to each other. He randomly practices the sounds that you do with him, and I love hearing the pride in his voice as he does it. His J’s sound more like Z’s instead of the D’s they used to sound like, and he is consciously practicing his SH’s, too. I knowing teaching in any sense can be a thankless job sometimes, and I wanted to make sure you know just how much we appreciate what you are doing for Maddox, and how thankful we are to have you in his life. Learn more about Speech-Language services from Great Prairie AEA at www.gpaea.org. Using his AMD to find the door opening to class. I am an Orientation and Mobility Specialist, working with GPAEA since August 2012. My role is to help our students who are experiencing reduced vision or no vision to understand the environment and learn how to move safely within it. When I began working with Aiden he was 4 years old and not walking or crawling. He struggled to understand the world around him due to his lack of visual information. With the help of his IEP team and paraprofessional, Nancy, who faithfully follows the routines set for Aiden, he has learned to support his body weight using a stander, begin standing alone (with leg braces for support), then walking with support, and now he is able to walk independently and without braces. Using an Adaptive Mobility Device (AMD) and changing it as his abilities have grown, Aiden continues to make tremendous progress. Hopefully within the next year he will be ready to use a long cane for travel. 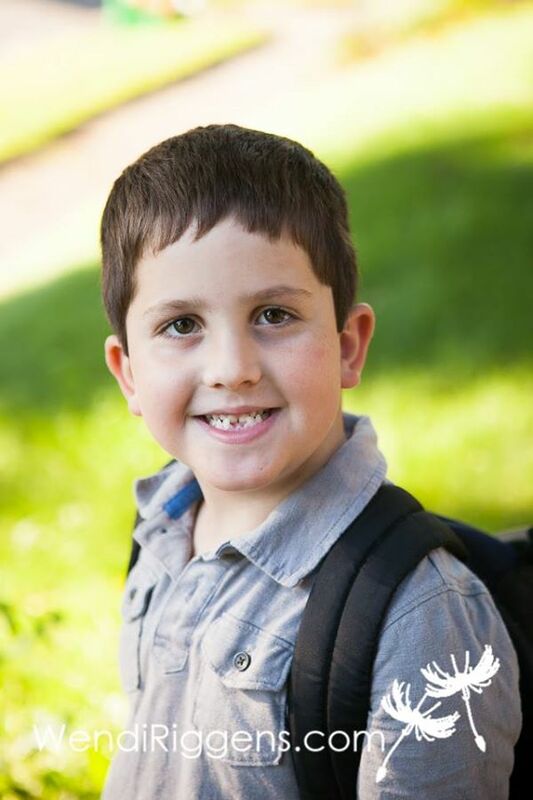 Aiden attends a regular education class and with the help of teachers, therapists and his paraprofessional, he is learning alongside his peers. The Teacher of the Visually Impaired, Lane Anthony, is instructing Aiden in Braille so he can learn to read and write without vision. 2nd grade students use magnifying lenses to look at physical characteristics of pebbles, sand and silt. In late September, I visited pilot classrooms at Keota Elementary (Keota) and Blackhawk Elementary (Burlington). The teachers in these two buildings are implementing the FOSS kit curriculum in a pilot program establishing a partnership between VAST Center (Van Allen Science Teaching Center) at Grant Wood AEA, the Eastern Iowa Science Consortium and GPAEA. More information about this partnership opportunity will be shared with Great Prairie LEA administrators in the coming months. During my visits to the classrooms, excited, engaged and enthusiastic students were making observations, asking questions, planning and carrying out investigations, analyzing data, writing in science journals and making connections to what they were learning in the classroom to the world outside, in their local schoolyards. Keota Jr/Sr High School has made some noticeable changes this year. These changes are having a positive effect on motivation, how kids learn and overall positive culture throughout the building. We began by developing a data team structure during the 2011-2012 school year. A team of lead teachers was identified and worked with Lisa Brenneman, 7-12 Principal, Cory Johnson, then Great Prairie AEA School Psychologist and now School Improvement Specialist, and Sharma Parlett, Great Prairie AEA Regional Director to read and discuss Leaders Make It Happen. As our team read the book, we began to apply the Data Team principles and developed a plan for implementation of Instructional and Building level teams. In June 2012, we used Teacher Quality funds to hold a two day retreat for our building leadership team. During this time, we used a variety of data sources to identify areas of focus as well as individual student needs; we also used this time to finalize our plan for Instructional Data Teams which included the creation of 9th Period. When classes began in August 2012, we implemented our Data Team structure. Instructional Teams (Language Arts/Social Studies, Science/Math, and Building Culture and Climate) began to meet on a regular basis, approximately twice per month during 9th period. Our Building Leadership team also met as part of this cycle. Using our 9th Period structure, our teams were able to begin their meetings at 3:00 (during the regular school day) and end at 4:00 while students were assigned to teachers whose teams were not meeting. During 2012-2013 our entire staff also received the Data Team training provided by Great Prairie AEA’s Cory Johnson and Jennifer Adams. The focus of 9th period is not only to provide collaboration time for teachers but also support for students academically on an individual basis. During this time students have access to all their teachers except on days the teacher’s team is collaborating. Students are required to stay with teachers that have requested them and if they don’t stay they are truant. The requests change on a daily basis and mean the student needs reteaching, has missing work, has discipline referrals or needs individual attention from a teacher to improve attitude or level of respect shown to others. The goal is to feed a positive culture. The positive is that all students “in good standing” earn privileges. The junior high students go to the gym for recreation/socialization and high school students may choose to leave or socialize/study with peers. Each student hangs a calendar inside their locker that tells them each day what is going on and what their options are. One day a month all students participate in teambuilding activities. Again, this is designed to improve the culture and relationships between students as well as between students and teachers. All students participate in building activities no matter what level of standing they are in. Through the data team structure the teachers identified last period absences for school activities as one of the building issues that needed to be addressed. The creation of 9th period also solved this problem because in the past they would miss an entire class period. Flexibility, planning and organization have been the key to the success of our data teams and 9th period. As a staff, we are always looking for new ways to maximize learning and take full advantage of the time we have with students and teachers at school. Great Prairie AEA has provided Para Educator certification courses for 11 years, but this spring we partnered with Southeastern Community College (SCC) and IowaWorks to offer credit and financial assistance. Great Prairie AEA holds the Department of Education certification process to qualify participants for the Para Educator Certificate, SCC grants post-secondary credit (6 credits for three courses) for those classes, and IowaWorks helps fund qualifying candidates with scholarships. This partnership has benefited local school buildings, teachers and students. Para Educator Courses I, II and III are required for certification. Courses are held at the Great Prairie AEA Burlington Office. All courses have an online component. There is an Iowa Division of Criminal Investigation and a Federal Bureau of Investigation background check for a fee of $65 and a $40 license fee due upon completion of all three courses (when submitting application to the BOEE). Register through GPAEA’s course catalog at www.gpaea.org. For more information contact: Megan Cramblet, Great Prairie AEA, at 319-753-6561 ext. 1261 or megan.cramblet@gpaea.org. What is a Para Educator? Para Educators, in partnership with other staff, support and enhance the education of children. They work under the supervision of teachers, who have the ultimate responsibility for the design and implementation of education. Para Educators are assigned to students who have barriers to learning. They may work with small groups of children, or one on one and are often assigned job duties to free up teachers’ time for other instructional tasks. Other terms: paraprofessional, educational aide, associate, or instructional aide. Each year in April, occupational therapists, occupational therapy assistants, and students in practice, education, research, and science host a month long celebration showcasing the importance of Occupational Therapy. Story originally published March 14, 2011 in The Cornerstone. Click here to read more Success Stories. Great Prairie AEA and the local school district educators in southeastern Iowa work in partnership to make significantly positive impacts on each and every student in each of the 35 districts in the area. Once in awhile, one student stands out as one who has made tremendous progress for one reason or another. This article focuses on one such student and we are proud to share news of his progress. 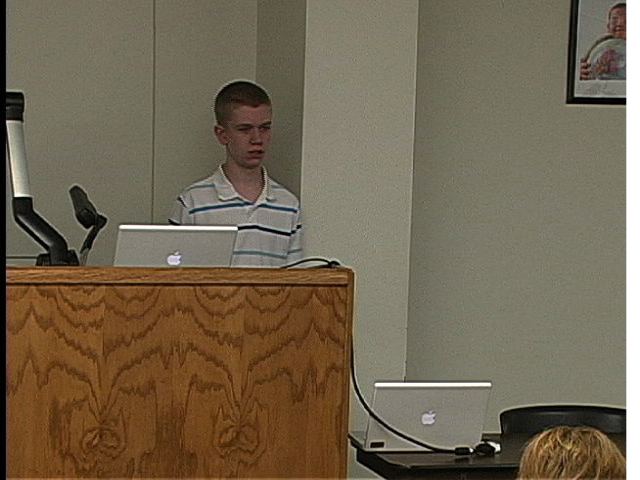 The student is Eric Waples, a High School Junior attending Danville Community School District. 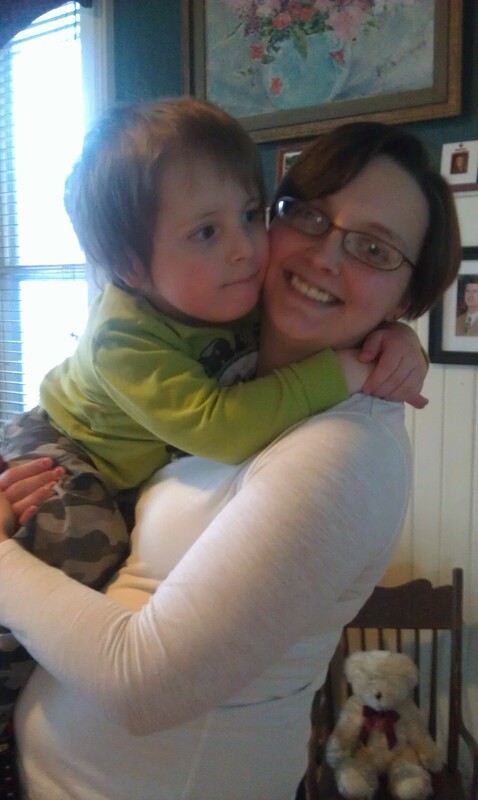 Eric is not new to the AEA; services have been provided for him since he was 2-years-old. Eric is special in many ways. He loves books. He has an excellent memory. He is very interested in technology and computer usage. He has autism, speech and language challenges. And he is a very positive and intelligent young man. Our family moved to SE Iowa in late 2008. Our previous school experiences in another state had been little more than “glorified babysitting” for our daughter who suffered with frequent seizures. Due to the seizure disorder and medical difficulties, she had many learning disabilities and delays. It was difficult getting to know the area and the services available for our 11 year old special needs daughter, LuCasey. We didn’t even know what an AEA was. We looked around at a variety of schools and decided on Mt. Pleasant, where LuCasey finished her school year at Harlan Elementary. It was then recommended that she move on to the Middle School. The teacher at the Middle School, Tiffany Menke, was phenomenal and she and the AEA staff were very helpful in assessing LuCasey’s needs and providing appropriate services. For the first time in LuCasey’s school life, we felt that she was receiving an appropriate education and support services to help her grow into the child she was supposed to be, even with the disabilities that she faced. Not only did we find support for our daughter’s education, we also found the school and AEA supportive of our family and LuCasey’s behavior challenges. During this time, I met the PEC Coordinator for our area, Kelly Wallace. Because of the difficulties we initially had in finding out about services, both in and out of school, I had a desire to help other parents. Many times, valuable information I received came from other parents. Kelly encouraged and assisted me and last spring I started a Support Group for Parents with Special Needs Children called Our Special Kids – Southeast Iowa. This group is open to all parents and families dealing with any type of special needs. The group’s mission is to share information, and provide support and encouragement to one another. We meet regularly and also stay in contact via email and our FaceBook Page (Our Special Kids Southeast Iowa). Kelly and the AEA have been an invaluable support to our family and I wouldn’t have gotten this group going without their help. Our daughter is now 15, in High School and very successful under another amazing teacher, Kathy Holtkamp. The teachers, paraprofessionals and the AEA Staff in Southeast Iowa are amazing! 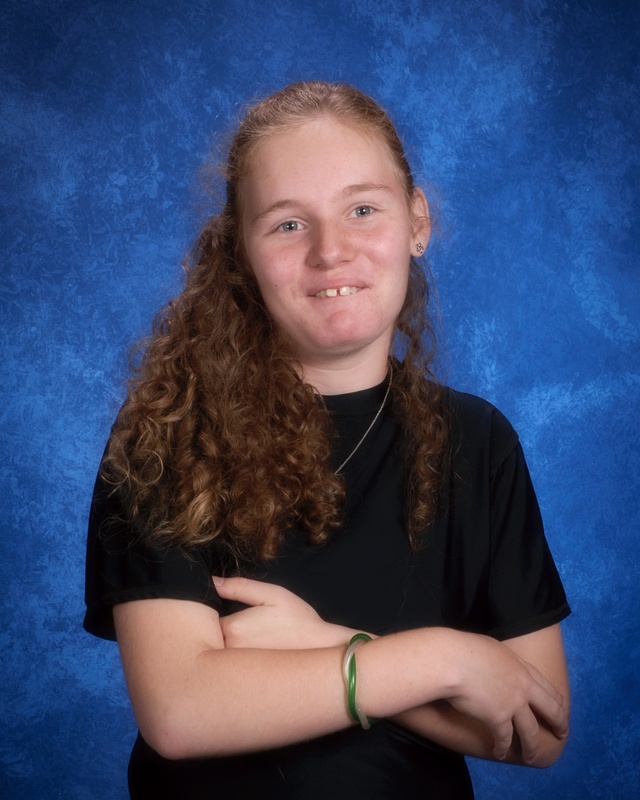 Outside of the regular school day, they have taken her to afterschool functions, including middle school dances and this year, the High School Homecoming Dance and activities. Recently the staff accompanied LuCasey and her whole class to the movies on a Saturday night so that they could all feel like their “typical” peers. We have been so blessed that everyone that has been involved in our daughter’s education has been supportive and willing to contribute to her success. We have also been treated with respect and dignity and as a part of the team, since parents are the “Specialist” for their child. Having come from another state where the services weren’t meeting our needs, we are grateful to the Mt. Pleasant School District and the Great Prairie AEA for all they have done to ensure that our daughter is successful and grows into her full potential. It is always important to give credit where credit is due and place a spotlight on any district that has shown great strides in making things happen! Secondary Transition service is one such area of focus that reflects an excellent model found at Ottumwa High School. Their Special Education Department Head/Transition Coordinator, Michele Cooper, has led the way over the years, along with a supportive administration, a great faculty, knowledgeable GPAEA core team providers and an active Vocational Rehabilitation Counselor, to bring in different levels of future services for students. The area of transition is a priority for students at the point of entry to OHS through their graduation. Parents and students are routinely asked for their input at every staffing when considering the future for post-secondary work or educational planning. The students have a Guided Study class in which they meet with their special education advocates daily. The students remain with their advocate all four years to encourage the relationship building. By the time students become seniors, their advocate knows the strengths and career interests of each student. During this Guided Study period, each IEP student meets with his/her Special Education teacher to improve skill areas, check on course progress, complete transition assessments and further planning opportunities for the future. Each student is involved in their own IEP process, working with their advocate to develop the appropriate IEP to meet their needs. Many of the students direct their own IEP meetings.